Refridgeration service and trouble shooting. Furnace Service: We offer a furnace clean and checks a 28 point heating saftey inspection to make sure your furnace is performing safely and at maximum efficiency. Inspection includes cleaning & furnace air handler and control surfaces, inspection and testing of all safety controls, lubrication and maintenance of serviceable parts, visual inspection of the heat exchanger integrity and an electronic carbon monoxide test to ensure you and your family, renters, or customers are safe during the heating season. Air Conditioner service: We offer a 31 point air conditioner service inspection to insure your air conditioner is ready to perform during the warmest summer days. Inspection includes furnace blower compartment, evaporator and condenser coil inspections, visual and electrical inspection of wiring and operational controls. Air conditioner service can also include inspection and cleaning of condernser coils, refrigerant check and charge . Humidifier Service: During the heating season, nothing affects indoor comfort as much as the proper operation of your whole house humidifier. Ensuring proper humidity in your home will protect your home furnishings as well as provide energy savings and comfort. Humidifier service includes checking for proper equipment operation, inspecting for proper water and air flow, inspecting wetting media, and humidistat controls. Water Heater Service: Hot water heater life and efficiency can be greatly improved by proper annual maintenance. Service includes inspection for water and fuel supply leaks, draining of sediment from tanks, inspection and cleaning of the burner, orifice, thermocouple and pilot hood. On electric Heaters inspection of thermostat, heating element current draw and power supply. Inspection of tank anode. Maintenance Service Plan: For Residential, Landlords, and Commercial customers. Standard Residential Plans include both Furnace and Air conditioning start up inspections. Commercial Plans can include additional mid-season inspections with quarterly (every three months) filter changes. We can create a custom maintenance plan with accurate records for your residence, rental home, or place of business. Service plans can include waived service call fees when subscribed to the Heating and Cooling service plan. Rather than coordinating HVAC maintenance yourself, let Parko Home remember when it's time for routine care and preventive maintenance. We will set a convenient appointment and are trained technicians will do a thorough check of your heating and cooling system. Servicing your furnace and air conditioner is hands down the best thing you as a home owners Landlords, or business owner can do to maintain efficiency and avoid heating and air conditioner problems. 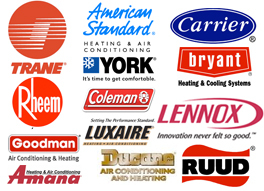 Furnace and air conditioner service plans include one free service call. Because we are committed to bringing comfort to everyone in Wayne County, Oakland County, and Washtenaw County we offer a furnace and air conditioner service plan to fit your needs. A gas valve over time wears the regulation spring out. This spring can control the amount of presssure to the burner assembly. To much gas can overheat the heat exchanger inthe furnace and cause a premature failure of the furnace. This is a common issue in furnaces. When your furnace was originally installed this should have been check to make sure that during transport the valve was still set at the furnace manufacture specifications. To help you when discussing your heating, cooling or ventilation issue. Annual Fuel Utilization Efficiency. This is a measure of a furnace's heating efficiency. The higher the AFUE% is, the more efficient the product is. The government's regulated minimum AFUE rating for furnaces is 78%. This is the portion of the central air conditioning or heat pump system that moves heated or cooled air throughout a home's ductwork. In some systems a furnace handles this function. An outdoor temperature, usually between 30 degree and 45 degree F, at which a heat pump's output exactly equals the heating needs of the home. Below the balance point, supplementary electric resistance heat is needed to maintain indoor comfort. This is British Thermal Unit. The amount of heat required to raise the temperature of one pound of water (about one pint) by one degree F.
An air conditioner with a valve that allows it to alternate between heating and cooling. A body of air or liquid from which heat is collected. The air outside the home is used as the heat source during the heating cycle. Heating Seasonal Performance Factor. This is a measure of a heat pump's heating efficiency. The higher the HSPF, the more efficient the product is. Seasonal Energy Efficiency Ratio. A measure of an air conditioner's cooling efficiency, The higher the SEER, the more efficient the product is. Weil McLain, Steam Boiler Operations, Zoning Hydronic HTC Systems, Hot Water Boilers and Multiple Boiler Systems Certifications. Diagnose and repair 3,4,5, 6, 7.5, 8.5 and, 10 ton package units. Maintainance and repair electric valves, heat transfer equipment, ventilation, and air distribution equipment 70,80 and 90+ residential . Install and replace pumps, motors, compressor’s or refrigeration equipment, Red Robin, Denny’s Elias Brothers, etc: commercial. Reads gauges and instruments to calibrates mechanisms such as valves, controls, and pumps. 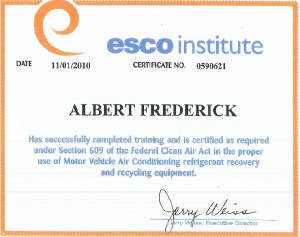 Can operate on various refrigeration equipment in compliance with EPA guidelines. Tests malfunctioning systems and components using electrical, mechanical, digital and controls. Performs planned maintenance, regular servicing, and repairs to refrigeration equipment of all types, sizes, and temperature ranges. Maintained records of repairs or equipment requiring future service. 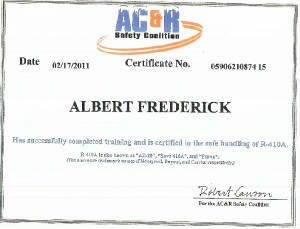 Basic repair and preventative maintenance for all HVAC equipment. Handling the tasks of assisting technicians in the installation of HVAC units, including electronic and mechanical components. Handle the tasks of installing and repairing fuel and water supply lines. Conserve, install and recycle CFC, HCFC and, HFC refrigerants. Installed 80% and 90+% forced air and solid fuel furnaces ranging from 45,000-155,000 btu input into both new and existing homes. Installed and replaced new venting systems consisting of single wall, double wall, triple wall and, pvc for gas and solid fuel systems as well as, black gas pipe and TracPipe systems, sized in accordance with the 2012 International Fuel Gas and 2009 Michigan Mechanical Codes into both new homes and commercial buildings. Installed single package rooftop heating/cooling units ranging in size from 3 to 15 tons of cooling capacity, including but not limited to, installing curb and alternate support as needed, field fabricating ductwork, installing external traps for condensate lines, rigging and placing units, installing flue hoods, installing gas piping, making electrical connections, supply, control and heat anticipator. Adjusting factory installed options such as potentiometer and evaporator fan speed and completing Start-Up Checklist per manufacturers installation instructions and 2009 Michigan Mechanical Code. Installed 2 ½ to 20 ton R-22 and R410-a split systems and mini splits with various seer ratings in both commercial and residential, new applications and change outs. Utilizing both 2 pipe and 4 pipe configurations. Cased and uncased coils, A-coils and N-coils. Field fabricated plenums, drives and cleats. Fabricated condensate lines from ¾ to 2 inch, wiring and installing condensate pumps and or pucks. Installed and wired supply voltage, disconnect and stat and, or control wiring. Field fabricated line sets, both soft and hard piping, cleaned, swaged and brazed all connections. Pressure tested, dehydrated to 400 microns and completed Start Up Checklist, as per 2009 Michigan Mechanical Code and Manufactures Installation instructions. Serviced and installed single and multiple boiler systems, mechanical draft, sidewall vented and direct vent boilers ranging from one hundred thousand to over ten million BTU’s preformed CSD1’s for several school districts and local businesses as per state requirements. Troubleshot, installed and replaced circulator pumps (water and oil lubricated ) expansion tanks, air separators, relief valves. Installed and serviced process piping as per MMC and IFGC for series loop systems, one pipe gravity return and pumped return. Two pipe wet return and pumped return systems, modular and multiple boilers, multi-use systems and bypass piping for gas fired, propane and oil fired systems for residential and large commercial applications. Trouble shot and installed a multitude of , probe type cutoffs, float type cutoffs, transformer relays, pressure limit controls, temperature limit controls, outdoor reset controls, 3 and 4 wire zone valves etc. 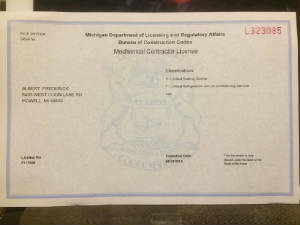 I have also completed Weil McLain Hydronics Education and Training and I am currently certified Specialist in Hot water boilers, Steam boilers, Zoning Hydronic HTG Systems and Multiple boiler systems. Diagnosed and serviced 2 ½ - 20 ton split system, mini splits and package(single and dual circuit units). Commercial and residential applications utilizing R-22 and R-410a refrigerants. Including but not limited to, replacing filters (indoor & outdoor) and belts. Oiling motors, greasing bearings, cleaning evaporator and condensing coils (single and split condensing coils), verifying, outdoor air temp(DB), return air temp (DB&WB) & cooling supply air (DB&WB). Leak detection, leak repair, recovery techniques, recovery requirements, dehydration brazing and repaired piping practices on all repairs were completed in compliance with Federal Clean Air Act- Section – 608 Type 1, 2, or 3 , and Michigan Mechanical Code.